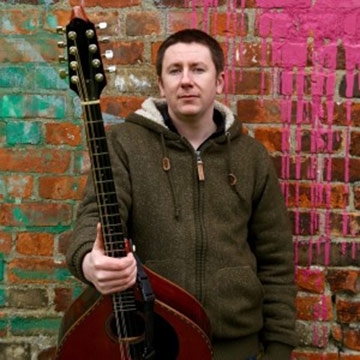 Although the only singer/musician in his immediate family, Daoirí Farrell was introduced to the music at a very early age by his parents who shared a keen interest in artists such as Christy Moore, Andy Irvine, Frank Harte, Planxty and The Bothy Band and more. Daoirí took up music himself at the relatively late age of 16 and only started to perform at 23, but he has come a long way since then and the early release of his accomplished debut album ‘The First Turn’, which he recorded in 2009 while studying music on the Ceoiltoir Higher National Diploma in Irish Traditional Music Performance course, in Ballyfermot College of Further Education (BCFE), Dublin. Following the release of ‘The First Turn’, Daoirí took an extended break from recording to pursue a degree in Applied Music at Dundalk’s Institute of Technology, followed by an MA in Music Performance at the World Academy of Music in the University of Limerick. He became the All Ireland Champion Singer at the Fleadh in Co. Derry in 2013 and won the Danny Kyle Award at Celtic Connections in 2015 with the line-up FourWinds. He has continued to gain in stature among the Irish folk-singing circuit, and has toured in numerous line-ups throughout Ireland and beyond, including dates in France, Germany, America, Canada and India.